First Surgery Grant Given ASAP! 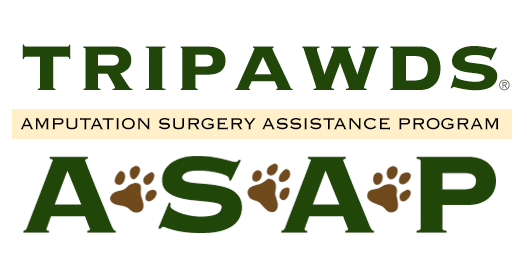 Thanks to your support, the Tripawds Foundation will be awarding the first Amputation Surgery Assistance Program grant this month. If your dog or cat recently had an amputation, see if you qualify and be sure to submit your application before the January 15 deadline. This month’s recipient will be announced on or before January 31. During this six-month trial program, one $500 grant will be awarded each month to an individual who meets the program criteria and submits their application on time. Animal rescues, shelters, vet clinics and other organizations are not eligible to apply since this program is intended to assist individuals. Our goal is to help financially distressed individuals with the unexpected financial burden of amputation surgery for a dog or cat. Recipients are selected strictly based on financial need, so there is no need to submit any lengthy essay or complicated application. If selected, the grant winner will be asked to provide a few photos and a brief article about their amputation recovery experience. 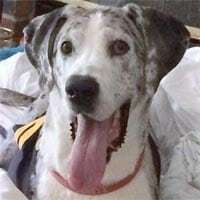 Stay tuned to this Tripawds Foundation News blog for program updates and success stories! So exciting!!!! For someone to be able to help their dog or cat by removing the pain, by giving them a chance for great extended time….a priceless gift, absolutely priceless! Yay this is very exciting. We have come a long ways in the 4 years that I have been a member here 🙂 You all are working hard. wow, very exciting new! Im sad that a pet has to go through with this, but glad that the foundation can help his owner. !